We've heard from Mrs. Dye this week that construction is on track to get everything ready for school opening on August 12th. Classrooms will be ready for students. The 5th grade wing will likely need some finishing work to be done after school and on weekends but the kids will be able to be in class during school hours. Demolition will continue through the school year but the construction team has removed all harmful materials and will strictly follow Bay Area Air Quality control measures. Mrs. Dye says "Construction is taking place six days a week for 12 hours a day to meet the opening deadline. District employees in maintenance and IT are working closely with the contractors and working very, very hard to meet deadlines as well. The board members receive and review the weekly bond meeting notes, so they are aware of the current level of the project's completion. It will be another challenging opening of school and we will need to remain flexible and adjust plans as new information is received. That said, having seen the campus up close today, I feel confident that school will open as planned... I believe strongly, though, that all parties are abreast of the progress and making Buri's completion a priority." The teachers will only have 2 days in their new rooms to prepare for school opening. The PTA is planning to work closely with Mrs. Dye and the teachers to provide support as we start school this year. If volunteers are needed we will post that information here so please check back regularly. We hope that all parents and students will be patient and flexible with any issues that arise as we move into our beautiful new school on August 12th! Don't forget to use our Amazon link! More information on the Earn Easy Money for Buri page! Help build a better future for our children - renew your annual membership or become a first time Buri Buri PTA member! 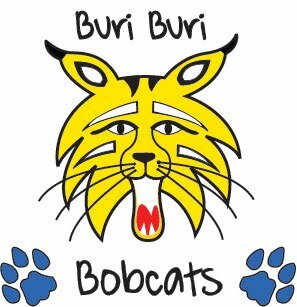 Joining the Buri Buri PTA is an investment in your child’s education and in your community. We invite you to be a part of making Buri Buri the best it can be and join Buri Buri PTA today! Building a Strong Community - This was achieved through fun events such as Family Movie Nights, the Fall Festival, Family Restaurant Nights, and our Someone Special Dance. We were also able to cover the cost of finger-printing for numerous parents/caregivers so that Buri Buri could increase the amount of parent/caregiver volunteers in the classrooms and on field trips. Enhancing our Children’s Skills - We held Buri Buri’s Learning and Enrichment After-school Program (LEAP) for the second year and it was well received with Lego and Chess Programs. Increasing Safety - Provided funding for a crossing guard at our busiest crosswalks. Performing Arts Enrichment - Covered the cost of a school-wide harp concert and produced another successful Talent Show. Buri Buri kids love to sing and dance! PTA Meetings - PTA members received monthly updates on school activities, fundraisers, and the new school construction and shared thoughts on school activities and fundraisers. Physical Ed. - Donated funds for mats for 5th grade Fitness Testing. End of Year Picnics - Organized and provided funding for fun picnics including a BBQ, face- painting, crafts, and games for all grade levels. And more! For a complete list of perks, check out capta.org. Turn in this MEMBERSHIP FORM and $10 dues to the office or your child's teacher. Welcome to the Buri Buri PTA Blog! We will post future meeting agendas and notices for upcoming events here. Please check back regularly to keep up with what's happening at Buri :) Thanks!